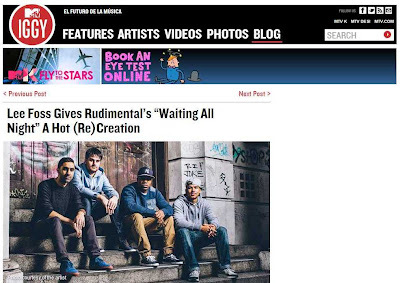 Rudimental’s on-going mission to "bring back soul into electronic music" has clearly been a success, as all of their major label-released songs have achieved no less than top 20 status. The London-based quartet’s debut album, Home, will be coming out on April 30 but, on April 14, they will drop one more soul-meets-drum-and-bass single called Waiting All Night. Lee Foss, who co-owns the ever-popular Hot Creations label with Jamie Jones, was commissioned by Rudimental to transform their Ella Eyre-featuring track into a pop-tinged deep house cut for the shuffling massive. Listen below.